Price: Rs. 2500/- Please Call for availability before you book any Event/Trek, to avoid 5% Transaction Charges. A serene location for both trekkers and camp lovers, Vasota trek through jungle concludes by a camping location where you can sit by a campfire surrounded by a landscape of sparkling clear lakes and ridges of mountains making it perfect for spending quality time in the cold evening weather with group of energy filled people and travel buddies, the evening is the beginning of another fun-filled experience. The peaceful boat ride takes you to the island Meth-Indavali was the trek start from. Koyna backwaters remain popular for its blue waters and clear skies, so be ready to capture some spectacular shots. Vasota fort situated in the laps of Koyna Wildlife Sanctuary, Vasota Jungle is known for its flora and fauna that charms both trekkers and nature lovers. As you trek through this dense yet beautiful jungle, surprises won’t stop coming your way. You don’t really have to worry much about the season; this jungle remains green throughout the year. Please Call for availability before you book any Event/Trek, to avoid 5% Transaction Charges. Last date of Registration: Three Days Before the Event Or till seats left. Campsite: Open Plateau near Backwater of Bamnoli Village. Dome shape Tents on Triple Sharing Basis with Carry mats, Sleeping Bag, etc. Departure Date & Time: Day 1 by sharp 1.30 pm from SP College Tilak Road. Arrival Date & Time: Day 2 around 11.30 pm, at SP College Tilak Road. Meeting Time and Place: Day 1 by sharp 01.15 pm at SP College, Tilak Road. Mode of Transport: Pune – Bamnoli – Pune by Private Non AC High Back Bus. Route: Pune – Satara Highway – Satara – Bamnoli Village. Campfire, Antakshari, Group Games, etc. Wake up call by Explorers. Fresh up immediately. Common Toilets are available at Bamnoli. Tea & Breakfast. After breakfast 1 Hour is required for completing the Legal Procedures to enter the Vasota. Start a Memorable Backwater Journey towards Vasota Jungle Trek by Boat. Reach Base of Vasota “Met-Indawali”. Briefing, Do’s & Don’ts by Team Explorers. Start a Trek towards Vasota. Beautiful climb in the Vicinity of Nature. Reach the Top. Explore Vasota with Explorers. Start Descending the Vasota Fort. Lunch at Base of Vasota jungle. Please Carry Steel Plate, Bowl, Spoon, etc. Disposable Plates not allowed. Return journey towards Bamnoli by Boat. Reach Bamnoli. Evening Tea & Snacks. Depart towards Pune with Happy Memories. Reach Pune at SP College Tilak Road. No Pick up & Drop other than Mentioned Route. Charges: Rs.2500/- Per Head Pune to Pune. Rs. 250/- per Head Extra for accommodation on Twin Sharing. Transport by Private Non AC High back Vehicle. (Pune – Bamnoli – Pune). Transport to Bring Tents, Sleeping Bags & other Accessories. RTO Permit, Toll & Parking Expenses. Day 2: Morning Tea & Breakfast (Limited), Packed Lunch, Evening Tea & Snacks (Limited). 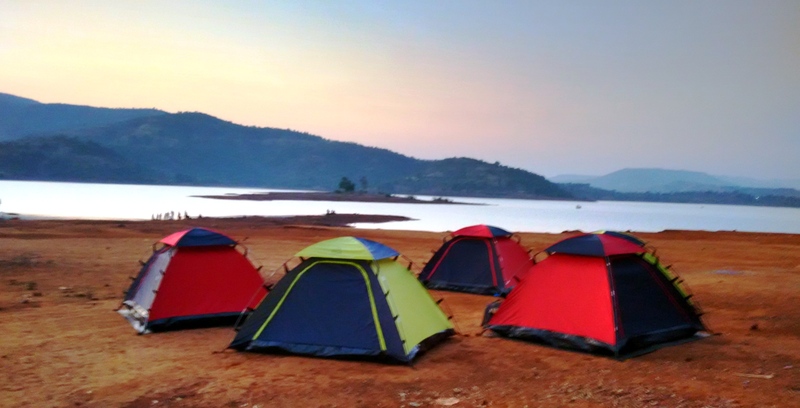 Accommodation: Non AC Dome shape Tents on Triple Sharing Basis, Carry Mate, Sleeping bag, LED Bulb, Camp fire, etc. Trek to Vasota with all Permissions like Boating Entry, Boat Club Charges, Jungle Entry Fees, etc. Lunch on Day 1 & Dinner of Day 2, Cold drinks, Mineral water, etc.